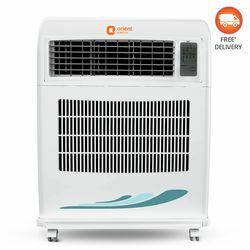 Cool down your space with worrying about the hefty utility bills by bringing home this innovative room cooler from the house of Orient Electric. The Magicool DX - CW5002B Air Cooler fits into windows like an AC and features a fragrance chamber that eliminates unpleasant odours and fills your entire space with freshness. With a 3-speed motor, tank capacity of 50 litres, air throw of up to 10.7 meters and 2000 m3/hourair delivery, this cooler is surely going to comfort you on those hot summer days. 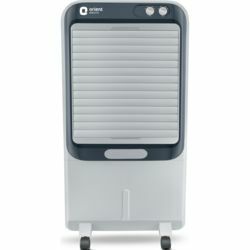 Highly energy efficient and easy to maintain, this air cooler is an ideal choice for those who want the best cooling comfort without breaking the bank. 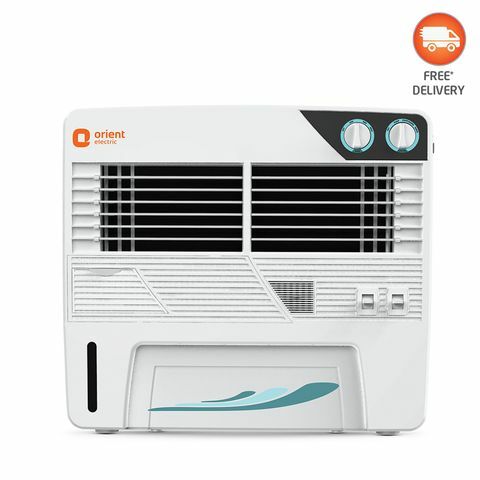 Cool down your space with worrying about the hefty utility bills by bringing home this innovative room cooler from the house of Orient Electric. 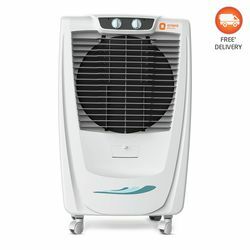 The Magicool DX - CW5002B Air Cooler fits into windows like an AC and features a fragrance chamber that eliminates unpleasant odours and fills your entire space with freshness. With a 3-speed motor, tank capacity of 50 litres, air throw of up to 10.7 meters and 2000 m3/hourair delivery, this cooler is surely going to comfort you on those hot summer days. 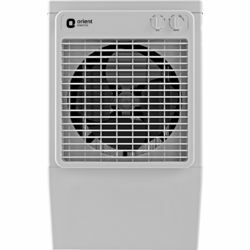 Highly energy efficient and easy to maintain, this air cooler is an ideal choice for those who want the best cooling comfort without breaking the bank.